Enter the initials or word you’d like to add to the topper. 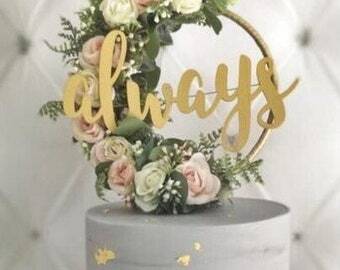 I’m so excited to be able to add these gorgeous light up floral hoop cake toppers to my ‘Infinity Collection’. 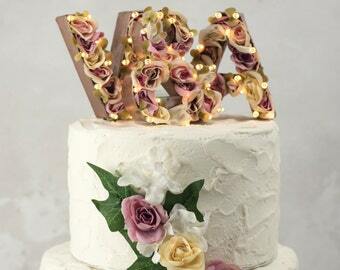 They are the perfect finishing touch to your cake, are completely unique and will certainly add the wow’ factor. 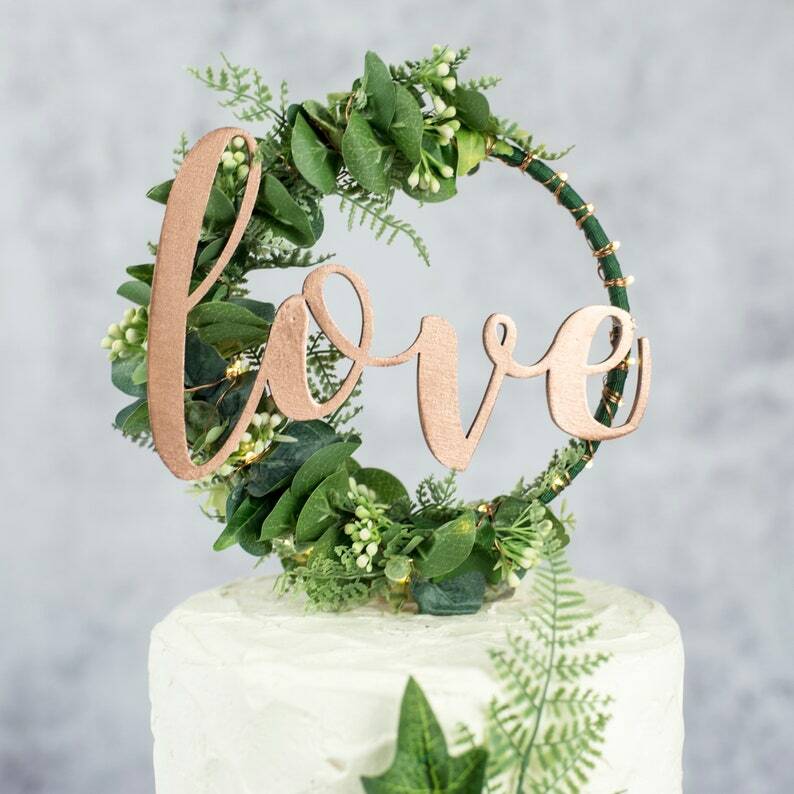 This design is the perfect mix of artificial eucalyptus, ivory wax flowers, ivy and forest fern and creates a delicate boho / rustic feel. Carefully wrapped around the topper are 30 copper wired micro LED lights to ensure your cake will stand out even when the venue lights are low. • 30 battery operated micro warm white LED fairy lights – batteries included. Battery pack is cleverly hidden amongst the foliage. The cake topper was perfect and just wanted we wanted. Loved the fairy lights!